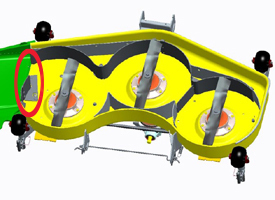 Large 44.3-cu in. 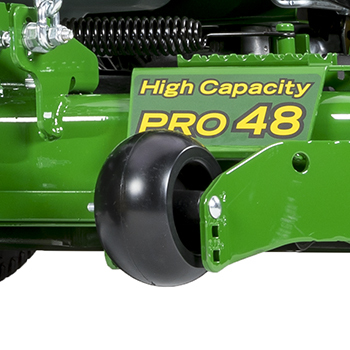 (726-cc) displacement provides excellent torque. 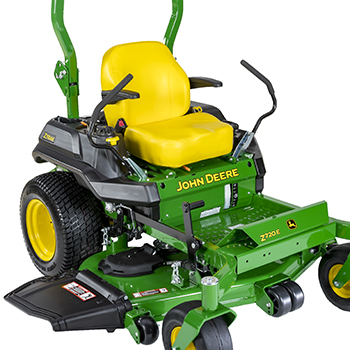 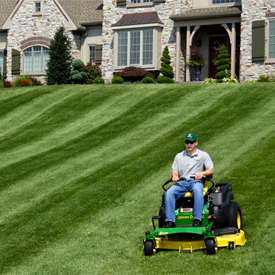 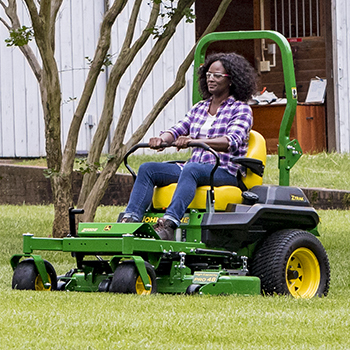 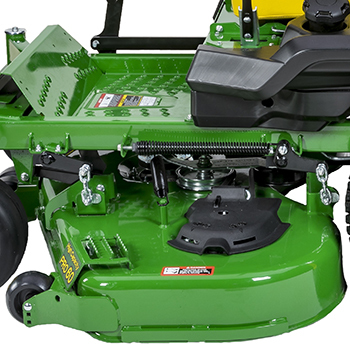 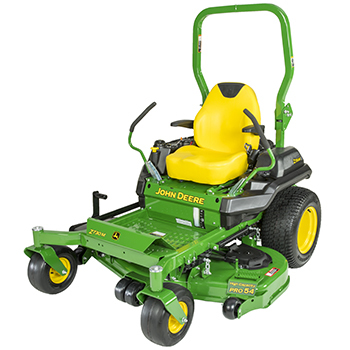 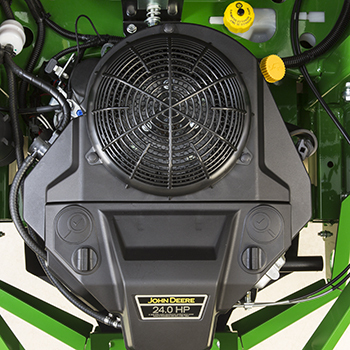 V-twin, 90-degree cylinder design allows for easy starts, excellent power and performance, and smooth operation. 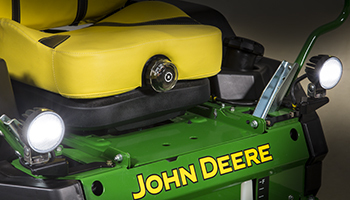 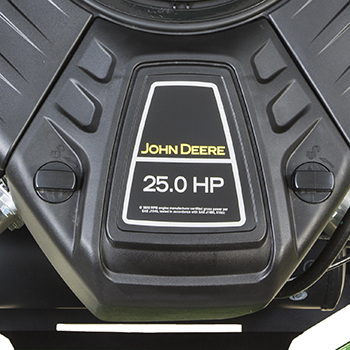 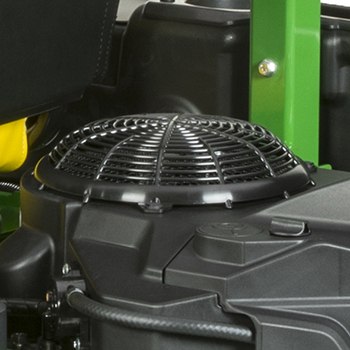 Overhead V-valves allow the engine to breathe easily for excellent power and fuel economy. 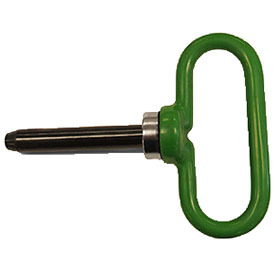 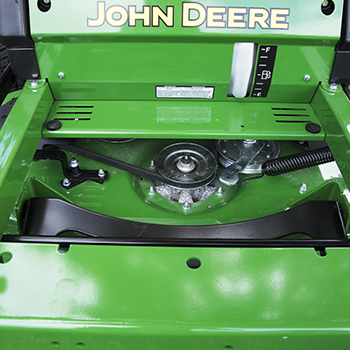 Automatic compression release provides easy starting. 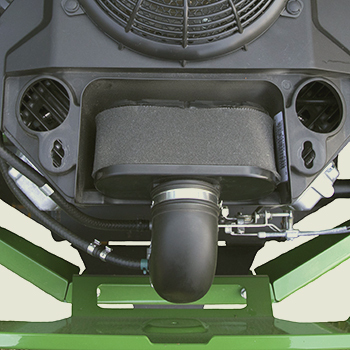 Internally vented carburetor maintains proper fuel mixture and minimizes emissions. 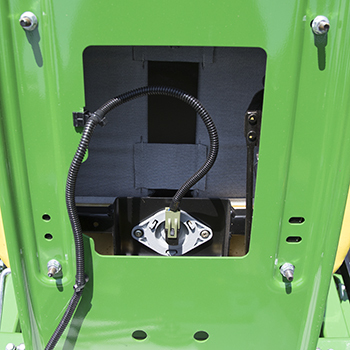 Fuel shutoff solenoid stops excess fuel from entering the exhaust system and causing after bang upon shut down. 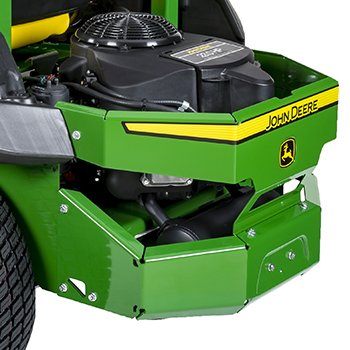 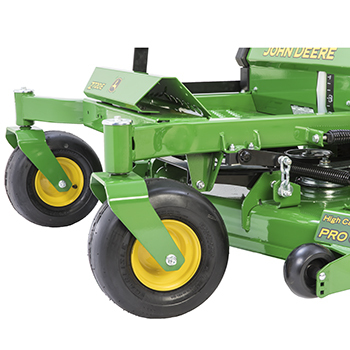 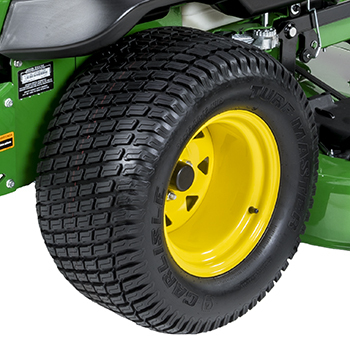 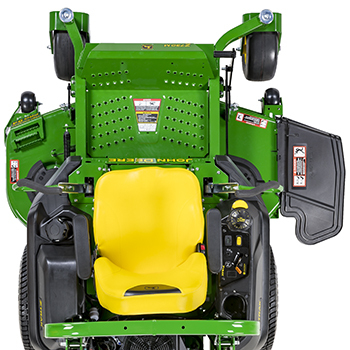 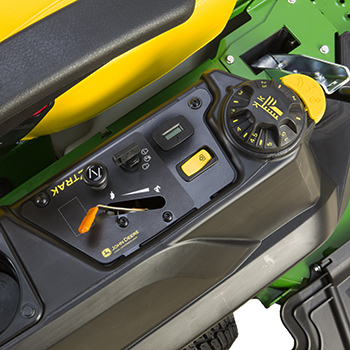 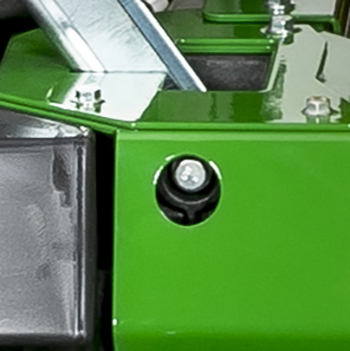 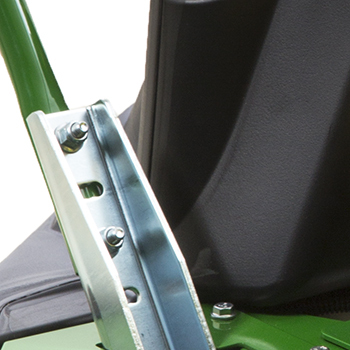 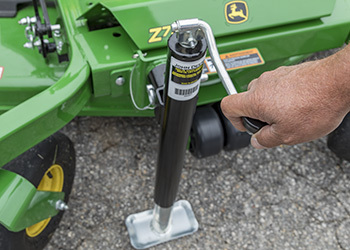 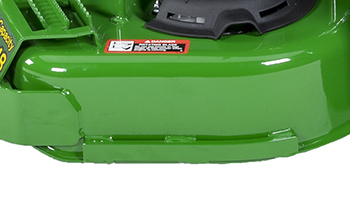 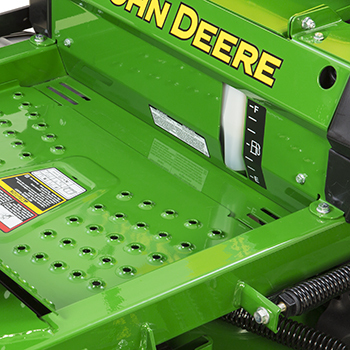 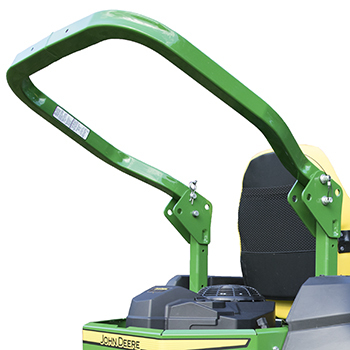 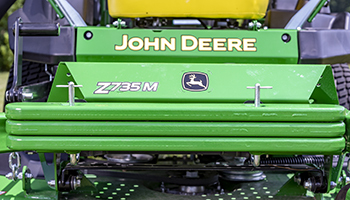 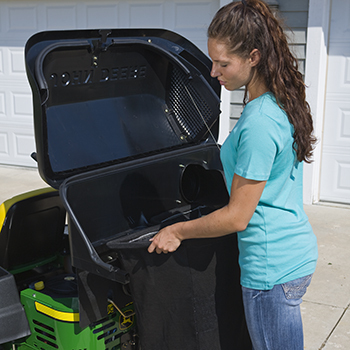 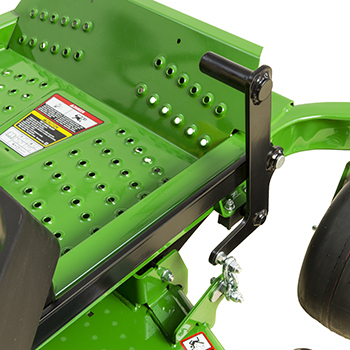 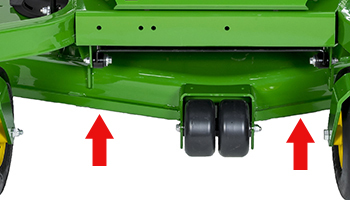 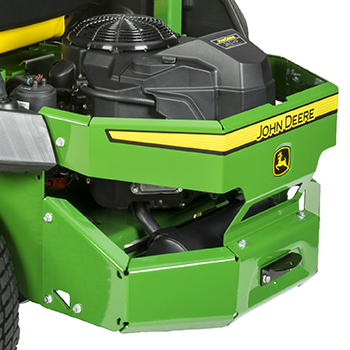 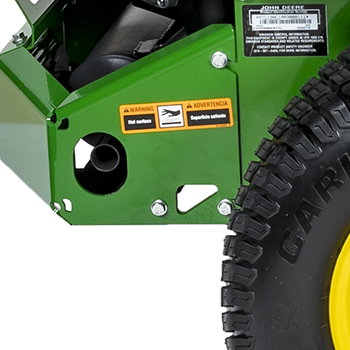 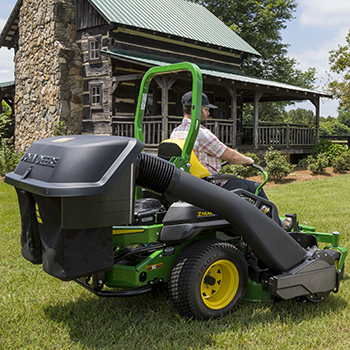 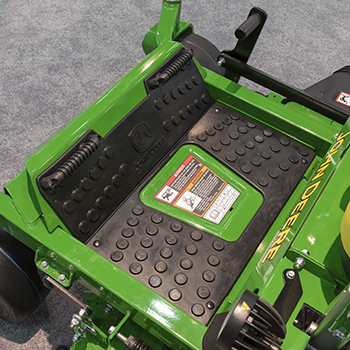 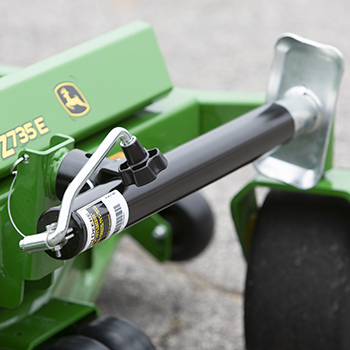 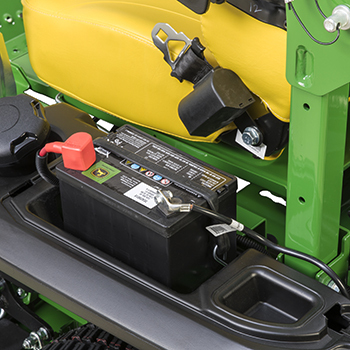 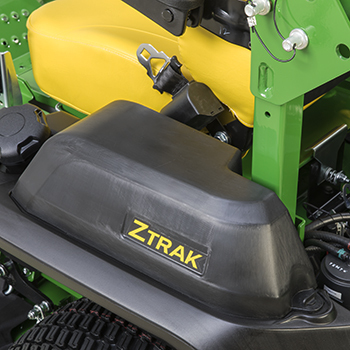 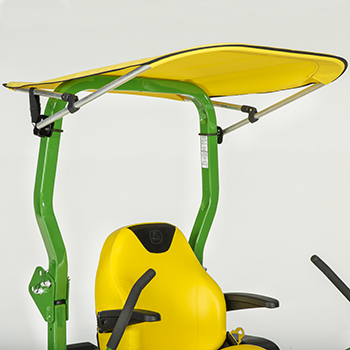 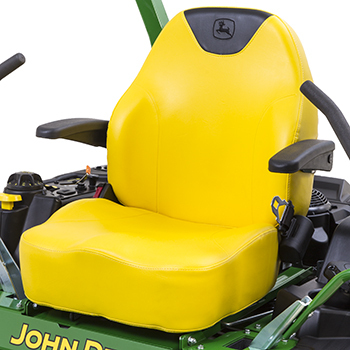 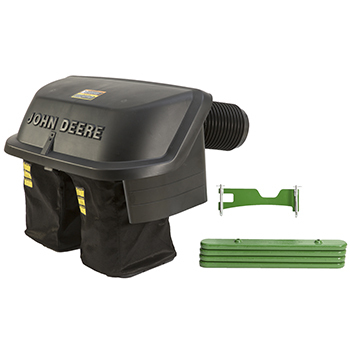 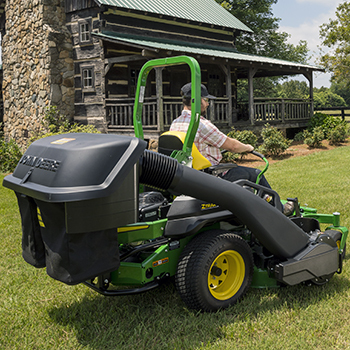 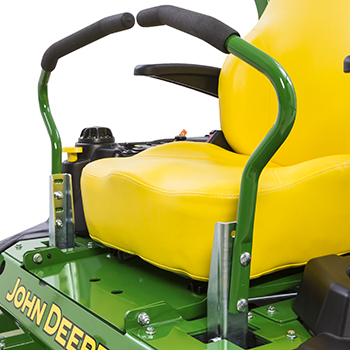 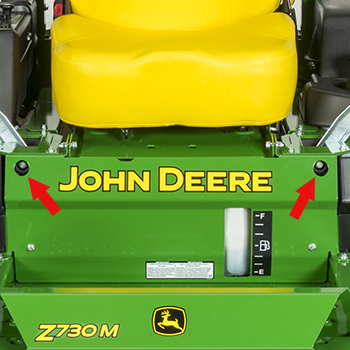 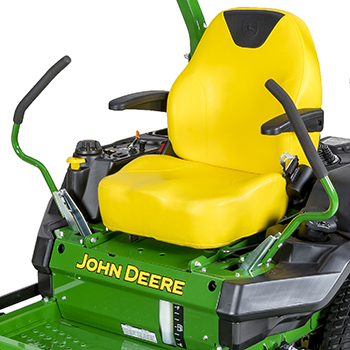 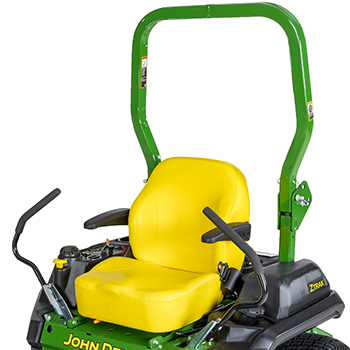 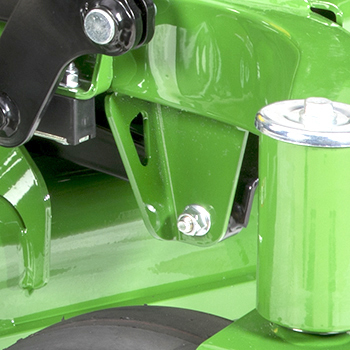 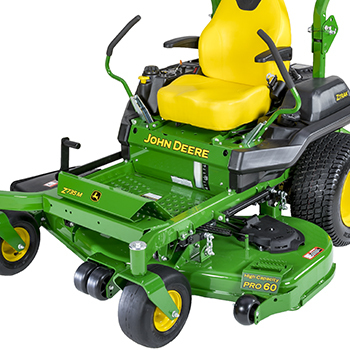 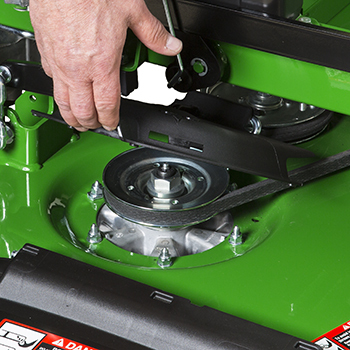 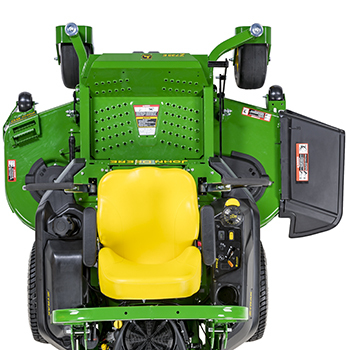 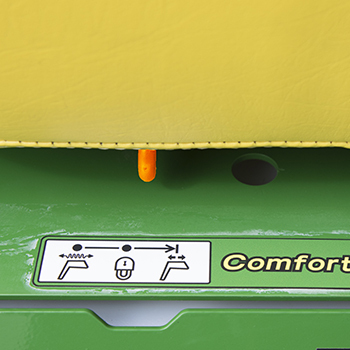 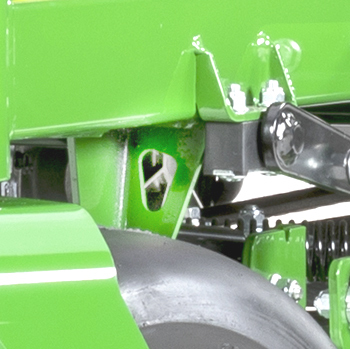 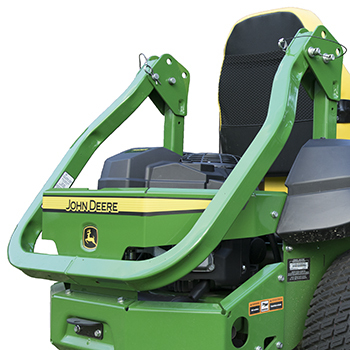 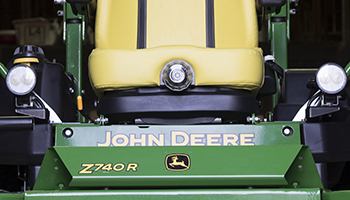 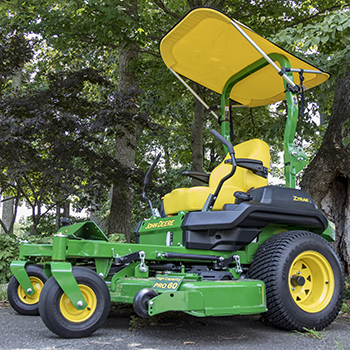 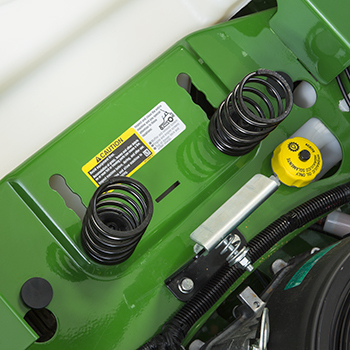 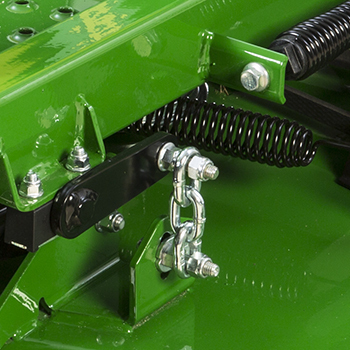 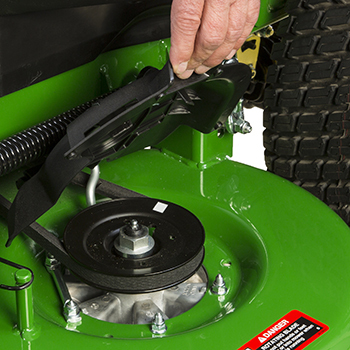 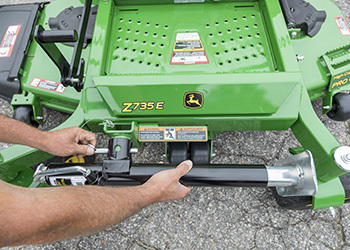 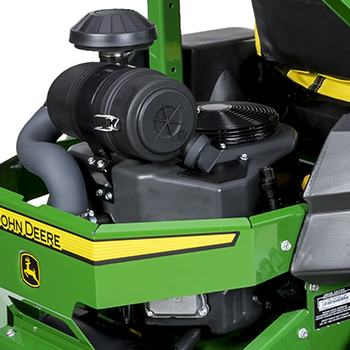 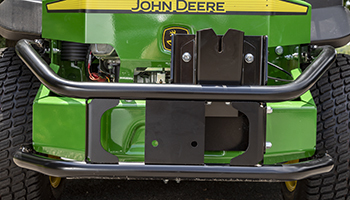 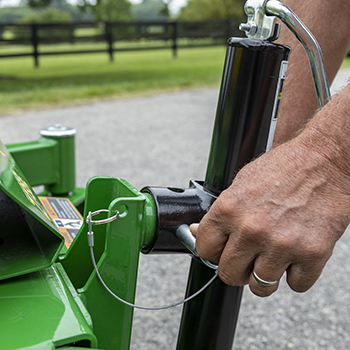 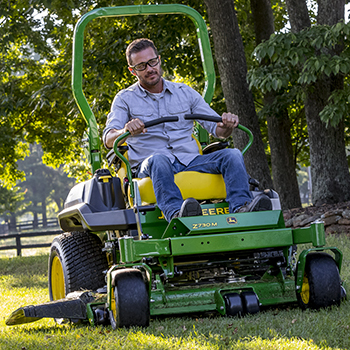 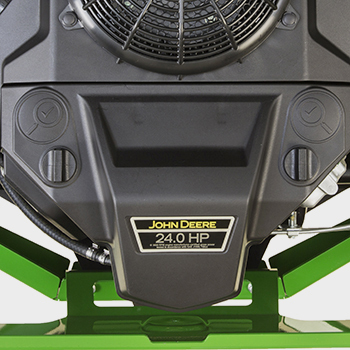 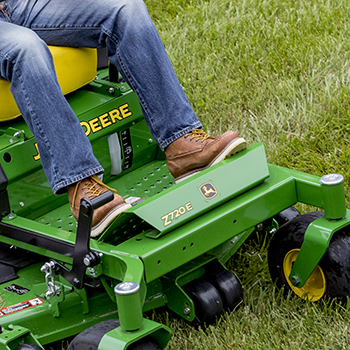 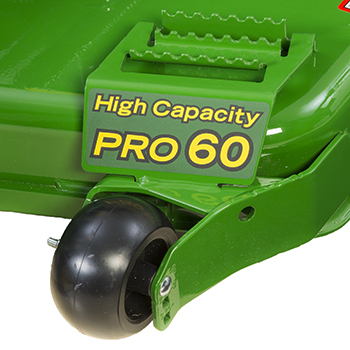 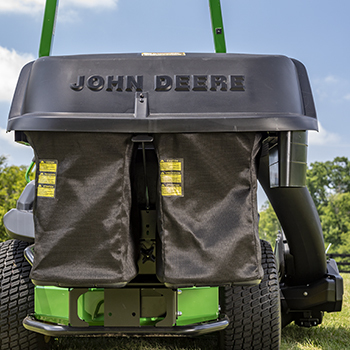 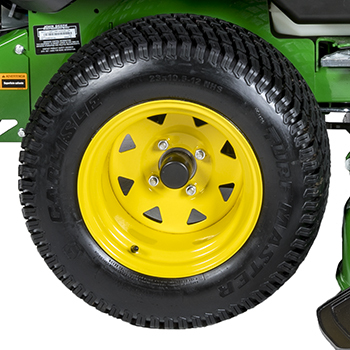 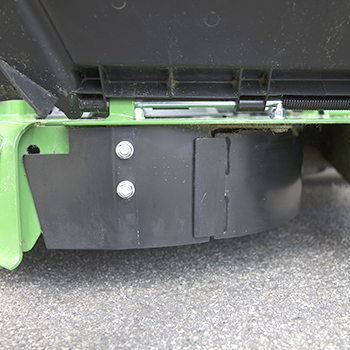 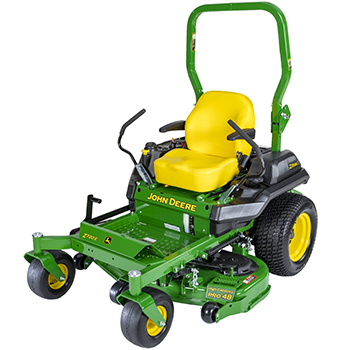 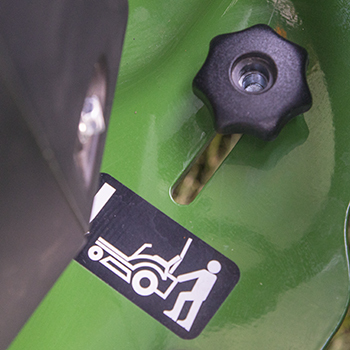 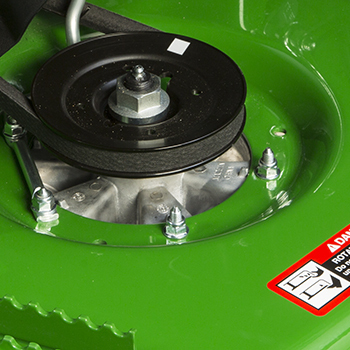 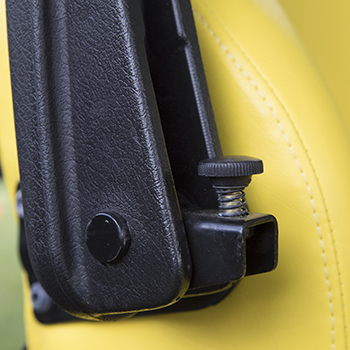 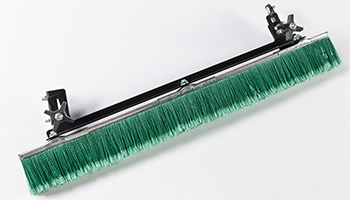 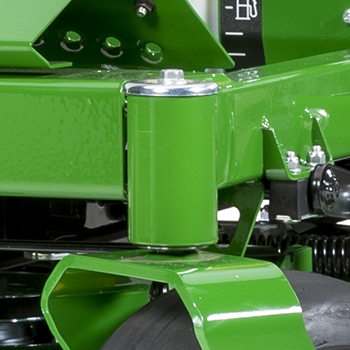 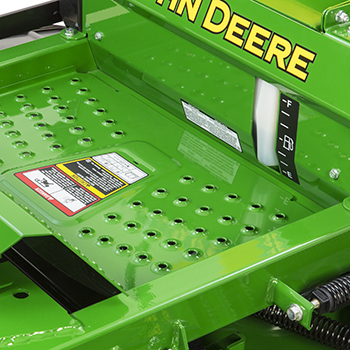 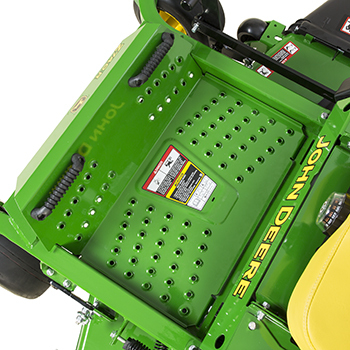 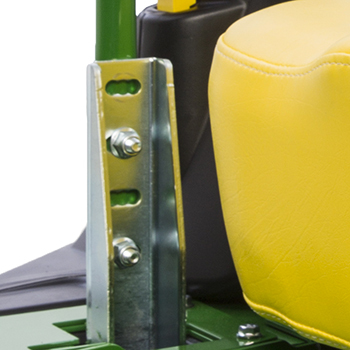 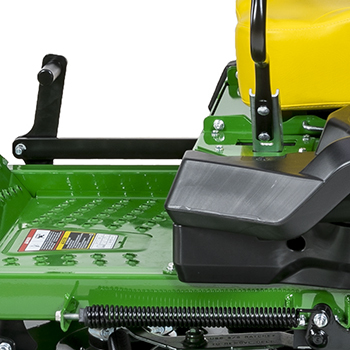 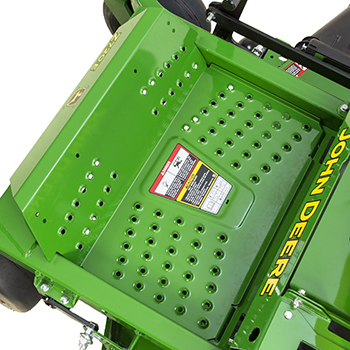 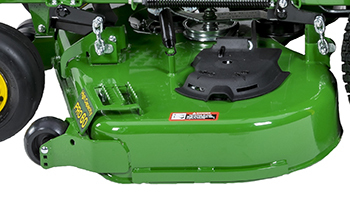 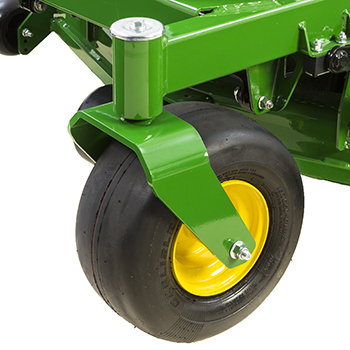 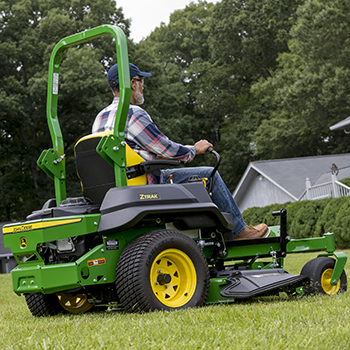 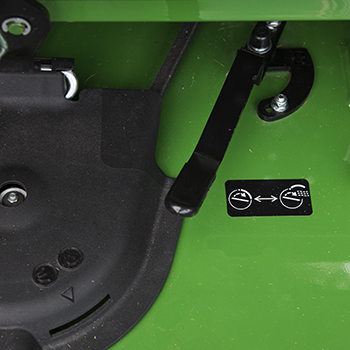 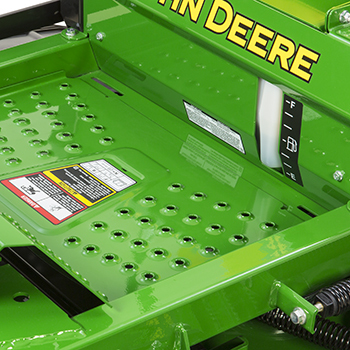 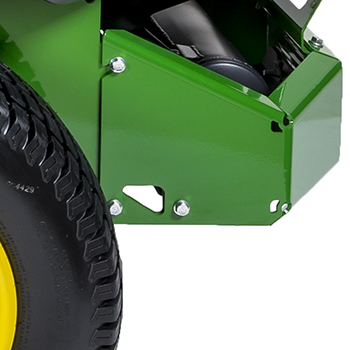 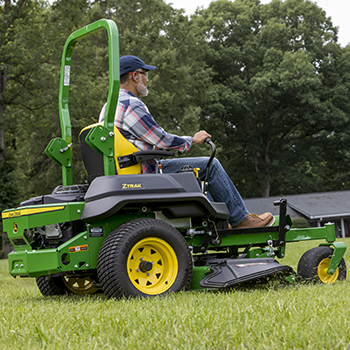 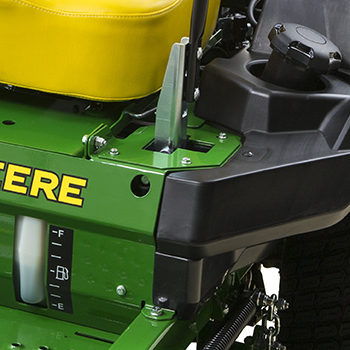 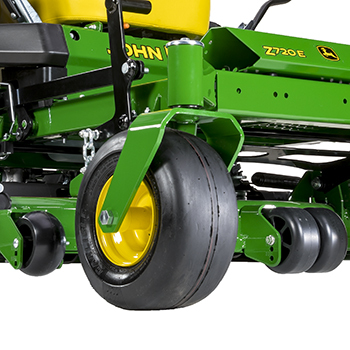 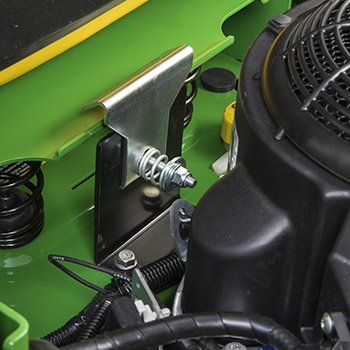 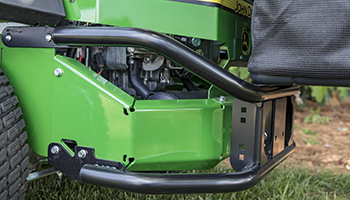 A rotating metal grass chopper screen helps keep the engine fins clean by filtering out debris and reducing the size of material that gets through so it will pass harmlessly past the engine fins. 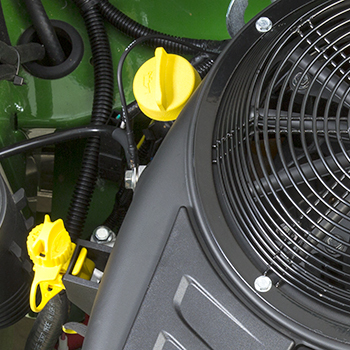 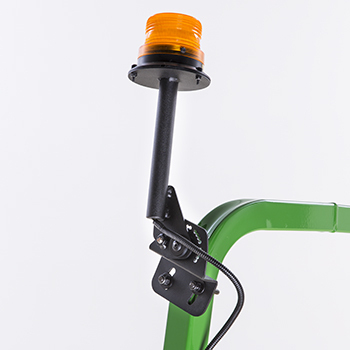 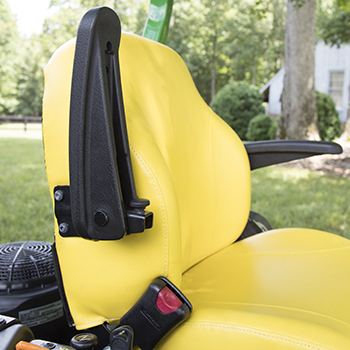 The guard provides protection from the rotating fan. 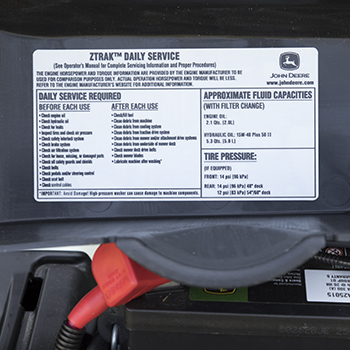 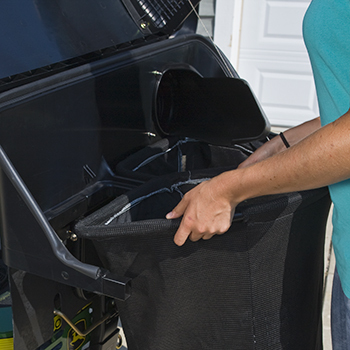 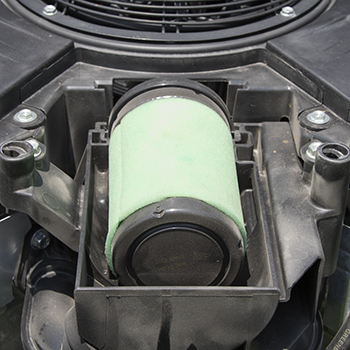 Replaceable oil filter keeps the oil cleaner for a longer engine life and extends the time between oil changes. 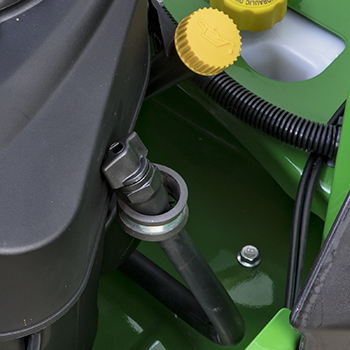 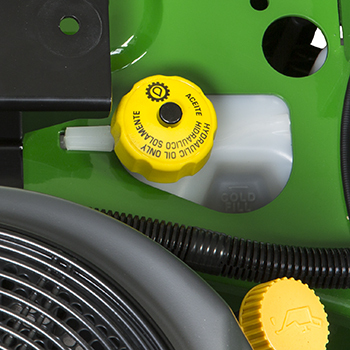 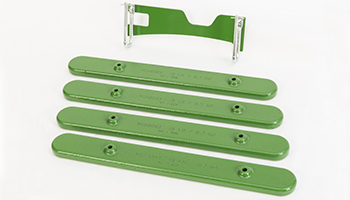 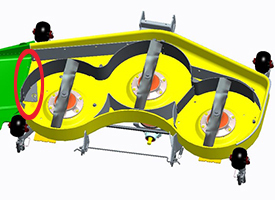 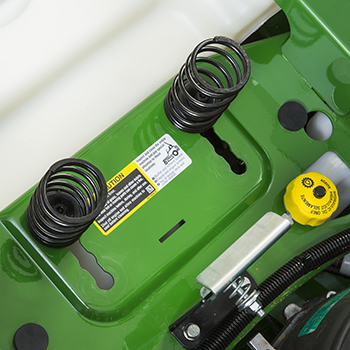 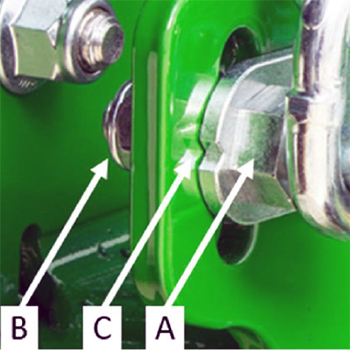 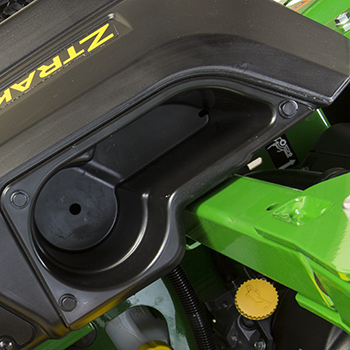 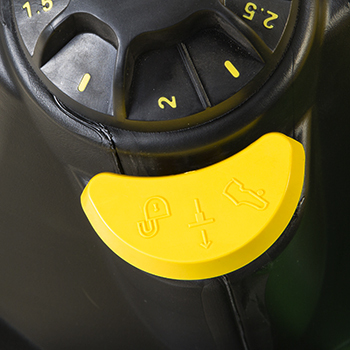 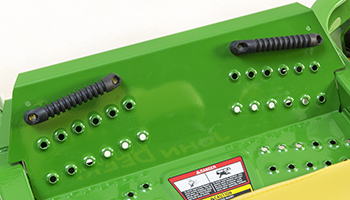 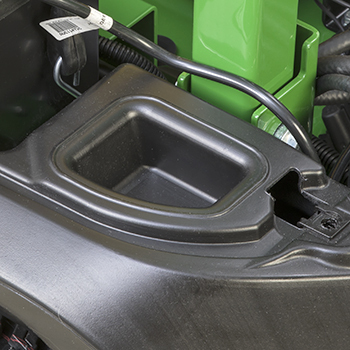 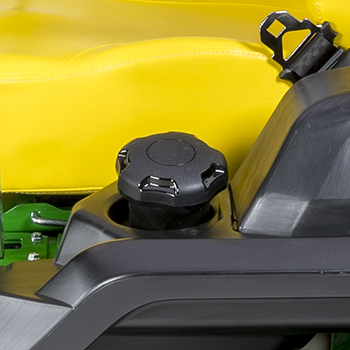 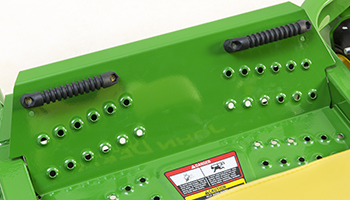 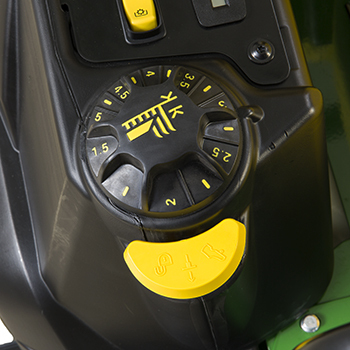 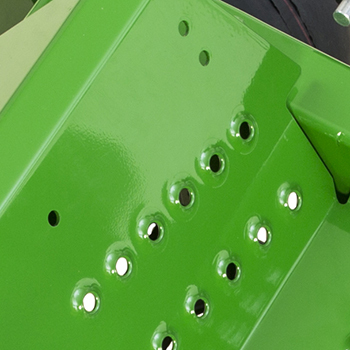 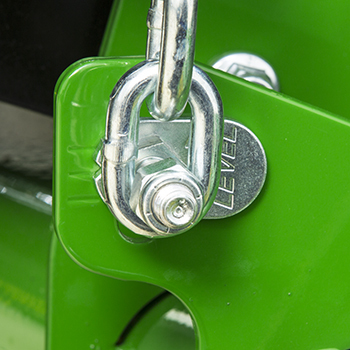 Integrated cleanout ports allow for checking and cleaning the engine cooling fins. 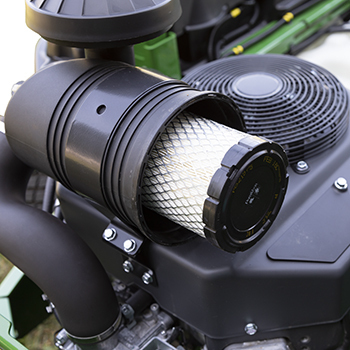 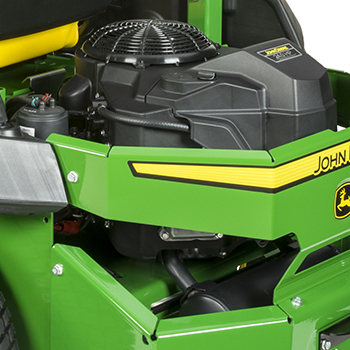 Heavy-duty, multi-stage air filter system thoroughly cleans the engine intake air.